No play dates will be Easter and Memorial Day weekends. 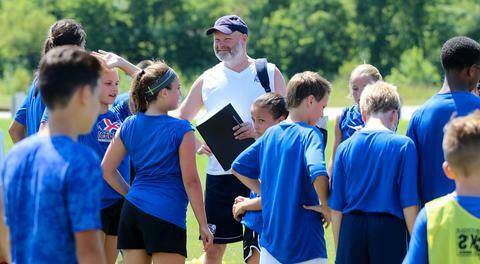 *SLYSA will offer 4v4 league for U6 (2013), U7 (2012) and U8 (2011) as recommended by US Soccer. 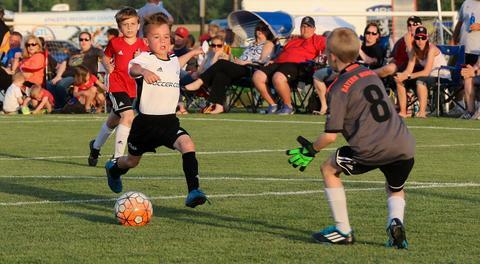 U9 (2010) and U10 (2009) will play using the 7v7 and U11 (2008) and U12 (2007) will play using the 9v9 format. All other age groups will play 11v11. Please apply as a returning team using your gotsoccer user name and password. (If you need this, please contact the SLYSA office or your club registrar to forward this information to you). Your name must be on the Fall 2018 application to receive the password information. Please apply as a "new" team (this means you do not have a gotsoccer account or 51% of your last roster). Set up your account by entering a user name and password. After you complete the application, you will receive a "confirmation" page, if not received your application did not go through the system. Deadline for the Spring 2019 application will be January 2, 2019. League Payments are due by March 8, 2019. Teams that have not paid league fees by the published due date could have scores changed to negative and not receive any points for ties or wins until paid. The team will start receiving points again once league fees have been paid. Any team dropping after January 11, 2019 will be charged a withdrawal fee ($650). Office rankings will be around January 2nd, using standings from the previous seasons. Rankings will be sent out to all coaches and Club Directors for review. Club teams should contact their Directors with any correspondence regarding the team's ranking. Independent teams should contact kdennis@slysa.org. The bracketing committee will review all requests and bracket accordingly from the rankings. Conflicts will be due by January 11, 2019. If you have any questions, please email kdennis@slysa.org or contact the office at 636-305-9849. REGISTRATION NOW OPEN FOR THE 2019 ICELANDIC SOCCER ACADEMY! 3 LOCATIONS THIS YEAR! 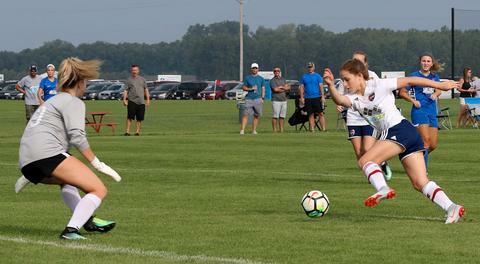 2019 MISSOURI PRESIDENTS CUP COMING TO SLYSA! MISSOURI RUSH SPRING TOURNAMENT PLAYING AT SLYSA! SPRING LEAGUE BEGINS FEB 23RD WITH 1,061 TEAMS SIGNED UP!